After 41 years on the market, the VHS VCR was discontinued in the Summer of 2016. Funai, the last remaining company manufacturing VHS VCRs (under both its own and the Emerson, Magnavox, and Sanyo brand names) ended production of the once-revolutionary time-shifting video recording and playback machine. Although there are still millions of VHS VCRs in use around the World (it is estimated that 46% of U.S. households have at least one), sales of devices with the ability to record video onto VHS tapes dropped to only 750,000 Worldwide in 2015, with the prospect of sales decreasing further as time went on. The VHS VCR story began in 1971. JVC wanted to provide an affordable way to both record and playback video content to view on TVs that were in use at the time. VHS reached the consumer market in 1976, about a year after Sony's BETAMAX video cassette format. Along the way, there were several other videotape formats, some of which were introduced before VHS and BETA, such as Cartivision, Sanyo V-Cord, and Philips VCR, but all fell by the wayside. By the mid-1980s, VHS was the dominant home entertainment video format, relegating its direct competitor, BETAMAX, to niche status. As a result, VHS gave rise to both the chain and "mom-and-pop" video rental industry. At its peak, it seemed like there was a video rental store on almost every street corner. However, in the mid-'90s newer options became available which began the slow decline in the popularity of the VHS VCR. In terms of video quality, VHS was no match for newer formats, such as DVD, which arrived in 1996, followed in 2006 by Blu-ray Disc. In terms of recording, the introduction of DVRs—such as TIVO and cable/satellite set-top boxes—that recorded video on hard drives, and DVD recorders, and, more recently, the availability of Smart TVs and internet streaming, decreased the popularity of VHS VCRs further. Also, with the advent of HDTV (and now 4K Ultra HD), the video quality of VHS recordings just doesn't cut it—especially on today's really large TV screens. Even attempts at increasing the quality of VHS, via S-VHS, and D-VHS, didn't make consumers jump to those options with the same enthusiasm as they did with VHS, instead, over time, adopting disc-based and streaming options mentioned above. In addition, recording restrictions (copy-protection) were imposed limiting the practical use of the VCR further. As a result, for many, VHS VCRs became relegated to playing old tapes or as a playback device for copying tapes to DVD. 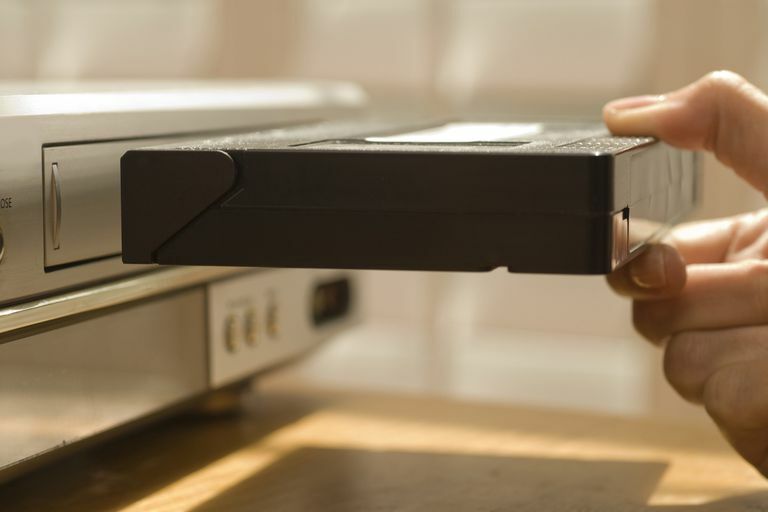 As a playback device for making copies to DVD, the rise of the DVD Recorder/VHS VCR combo enjoyed some popularity, but since about 2010, ​even that option has become very rare. The last Hollywood movie credited with a wide release on VHS was A History of Violence (2006). Despite its demise, the VHS VCR has definitely earned its place in consumer electronics history. Before the advent of Cable/Satellite DVRs, Video-on-Demand, Smart TV, and internet streaming, the VHS VCR literally established the foundation for consumers to take control of their TV and movie viewing. In its heyday, the VHS VCR was one of the few tools that consumers had to time-shift their favorite shows for more convenient viewing. Also, despite fears from movie studios that VCRs would doom their industry, as VHS VCRs, DVD, Blu-ray Disc, and Streaming have each gained a foothold in home entertainment, people are still going to the movies in large numbers. After a 41 year run, VHS has been retired to Gadget Heaven, joining such legendary products as the BETAMAX, LaserDisc, 8 Track Tapes, HD-DVD, and CRT, Rear Projection, and Plasma TVs. Interestingly, one old legendary product, the vinyl record, has actually enjoyed a resurgence. Despite its demise, the VHS VCR should be duly credited with being a factor in the development of home theater. If you have a lot of VHS tapes, and you want to preserve some or all of them, time is of the essence, especially since VCRs, including DVD/VCR combos, are no longer being made. However, if you are still looking for a device that will record and play VHS tapes, check some remaining products that may still be available new (as long as the stock remains), or used. As long as there is a large number of VHS VCRs in use, blank VHS tapes should be available for some time, if not in retail stores, they will be available for purchase online. Using BETA as a comparison, even though the last BETAMAX VCRs were discontinued in 2002, blank BETA tapes were available on a limited basis until early 2016. For consumers, VHS stands for Video Home System. For engineers, VHS stands for Vertical Helical Scanning, which is the technology that VHS VCRs use for recording and playback.